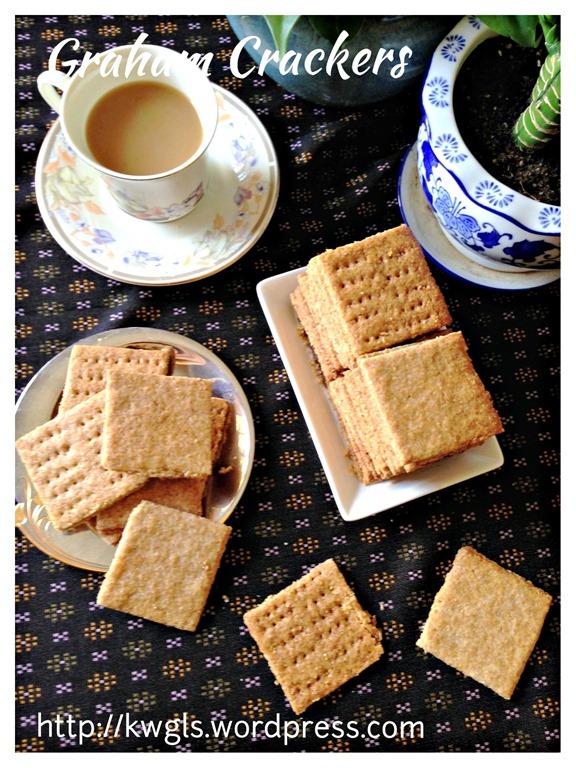 In Western cookbooks, It is common that graham crackers were being used to prepare the biscuit base of chilled cheesecake and in fact, I do like graham crackers. 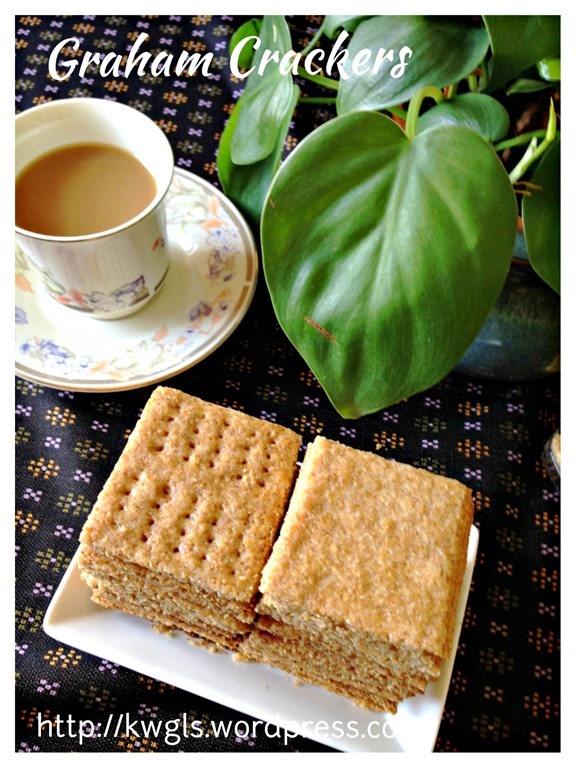 I like the crispy texture of the biscuits with some bits to bite in the biscuit. 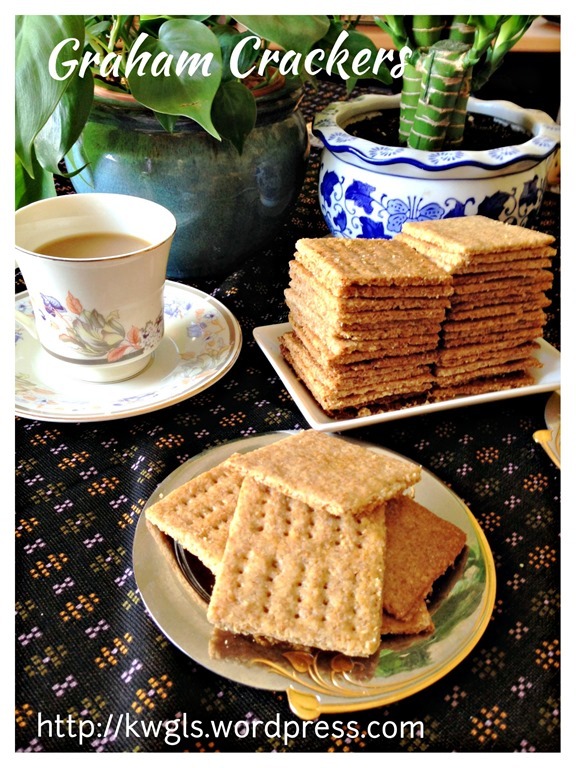 While I was flipping through by favourite cookbook (Essential Baking Cookbook issued by Murdoch Books, UK 2000) today, I found a recipe on graham crackers. 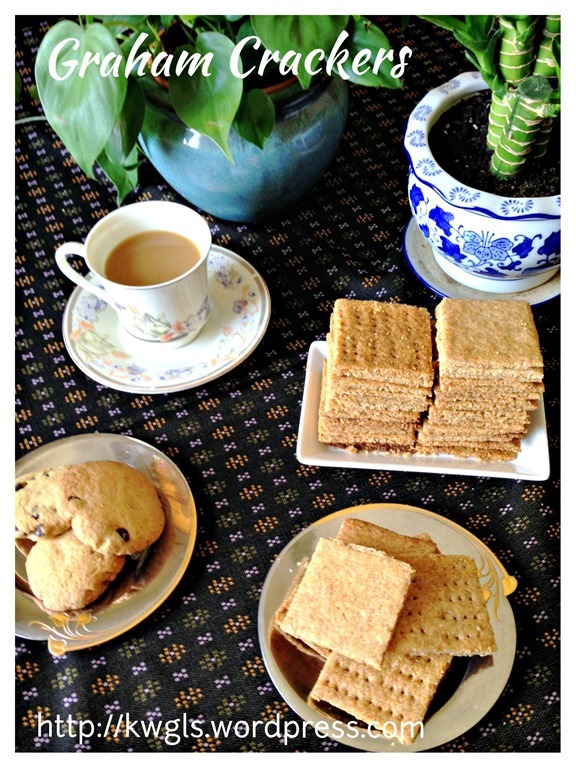 I was amazed that only 5 ingredients were necessary to prepare the biscuits. Since I have all the ingredients at home, I have decided to give it a try. 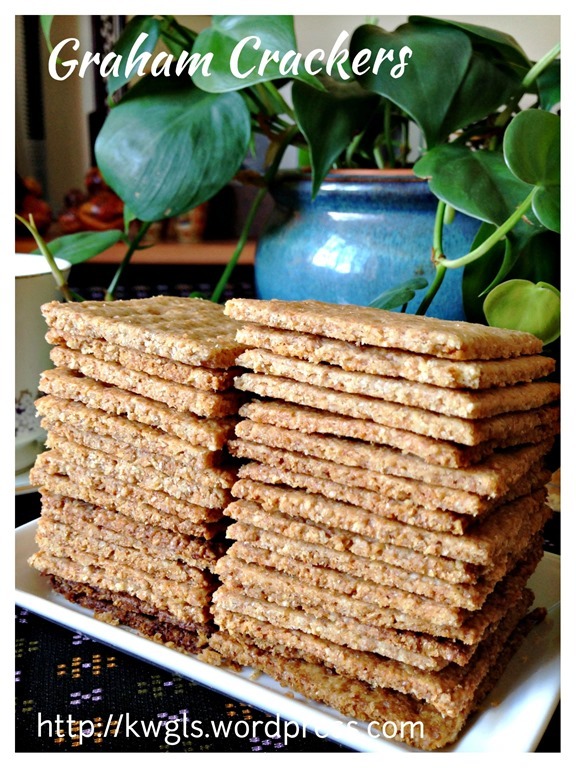 “The graham cracker (/ˈɡræm/, /ˈɡreɪm/, or /ˈɡreɪ.əm/; also graham wafer) was invented in 1829 in Bound Brook, New Jersey, by Presbyterian minister Sylvester Graham. 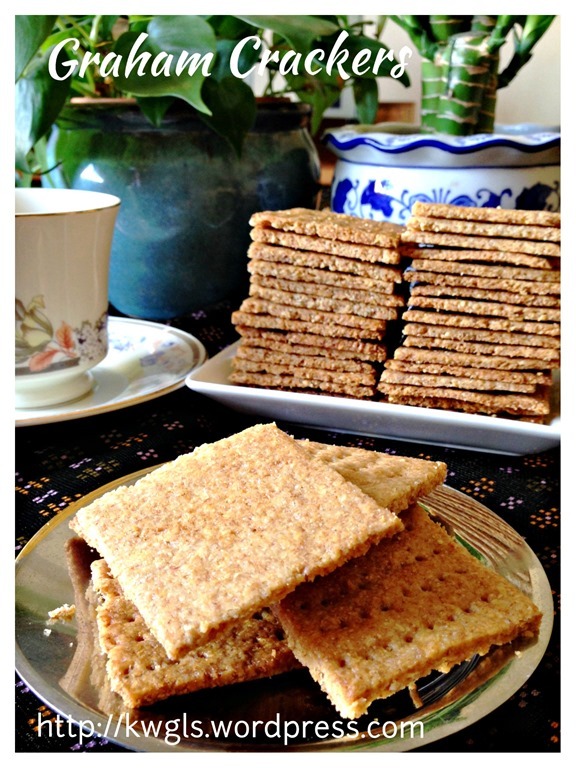 The original graham cracker was made with graham flour, a combination of finely-ground unbleached-wheat flour with the wheat bran and germ coarsely-ground and added back in providing flavor. 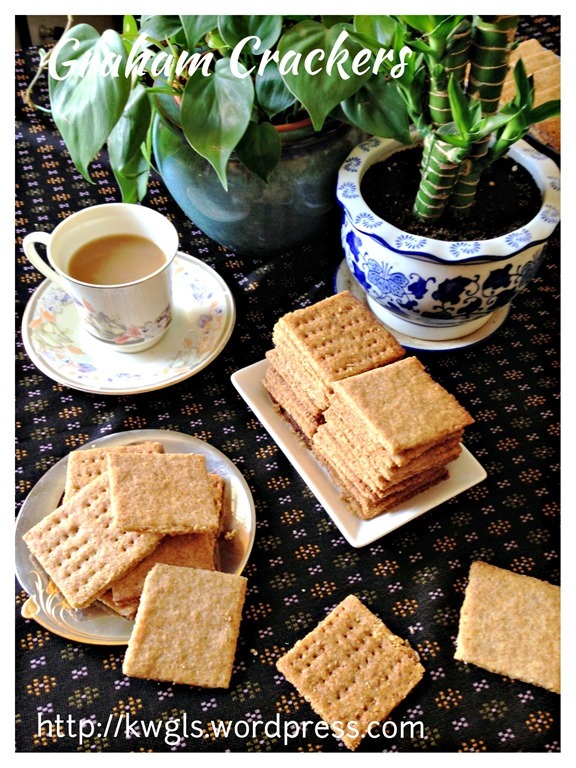 While graham crackers started out as a mild food, unsweetened or mildly sweetened, they are more commonly known as a sugar or honey sweetened baked good that approaches a cookie. 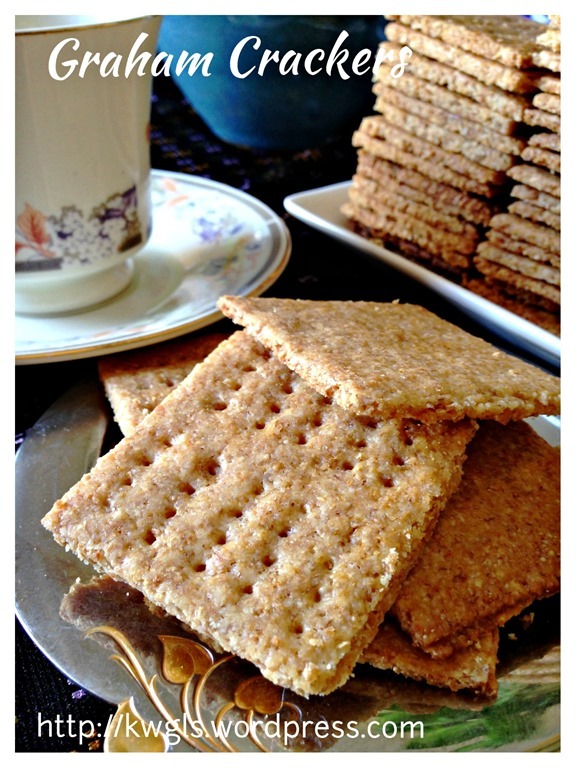 Prior to my preparation, I did search other recipes but most will require much more ingredients and come with many variations such as adding of cinnamon powder. This recipe is unique as I did not find any other recipes that use cream in the preparation. However, I have substantially modified the ingredients and method to suit my preparation. 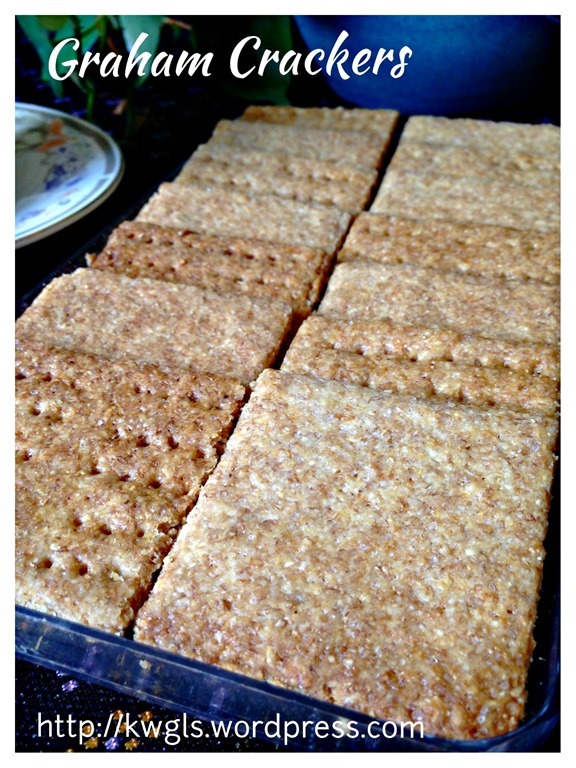 Taste is awesome, texture is crispy and it is addictive.. I have taken more than 5 pieces in an hour..
Line 2 baking tray with baking paper. In a food processor, put all the dry ingredients (except butter) in the blending bowl. Blend the dry ingredients until well mixed.. Add the butter cubes. Blend again until the texture resembles bread crumbs. Add in the cream, blend again until well combined. 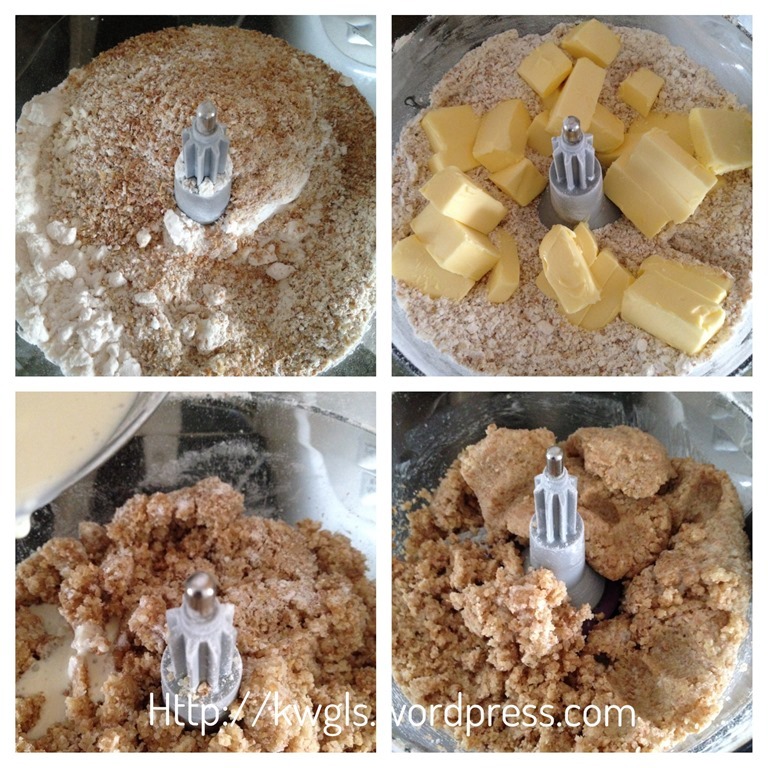 If you do not have a food processor, you can easily use hand to rub the butter against the flour mixture until a crumble structure is obtained. 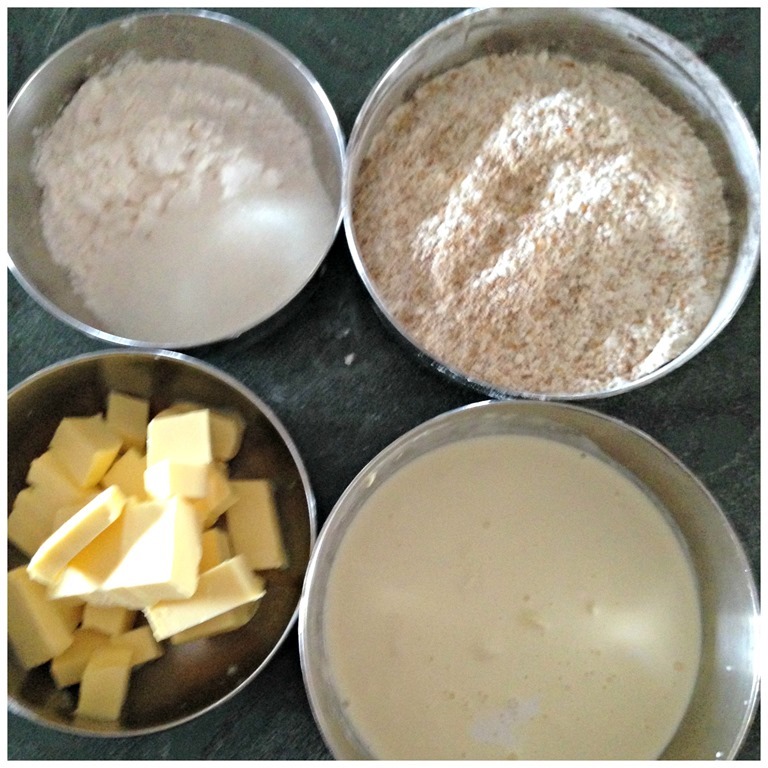 Divide the dough into two portions (about 370 gram each dough). 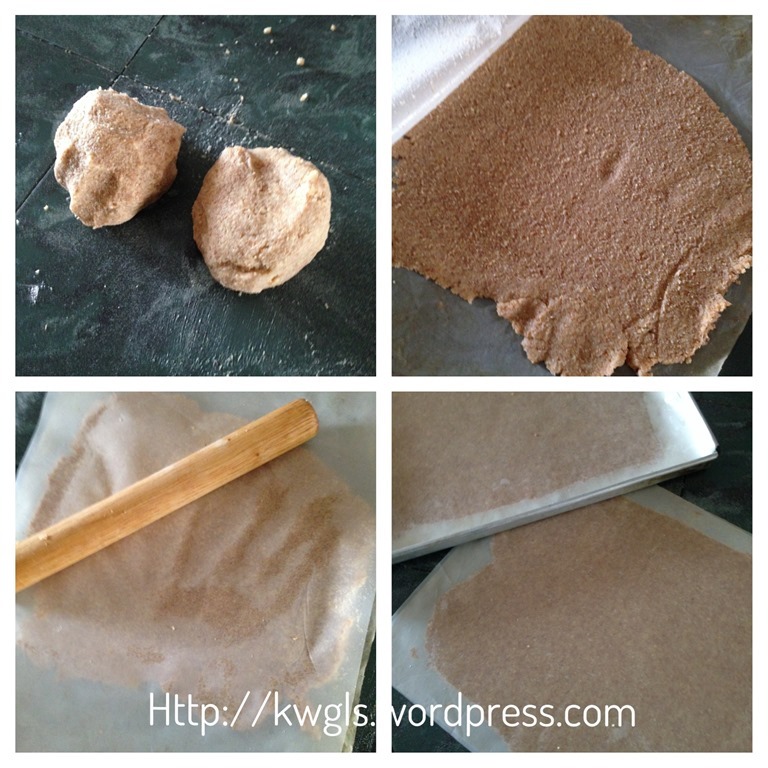 Put one portion of the dough on top of one of the baking paper, Put another piece of baking paper on top of the dough. 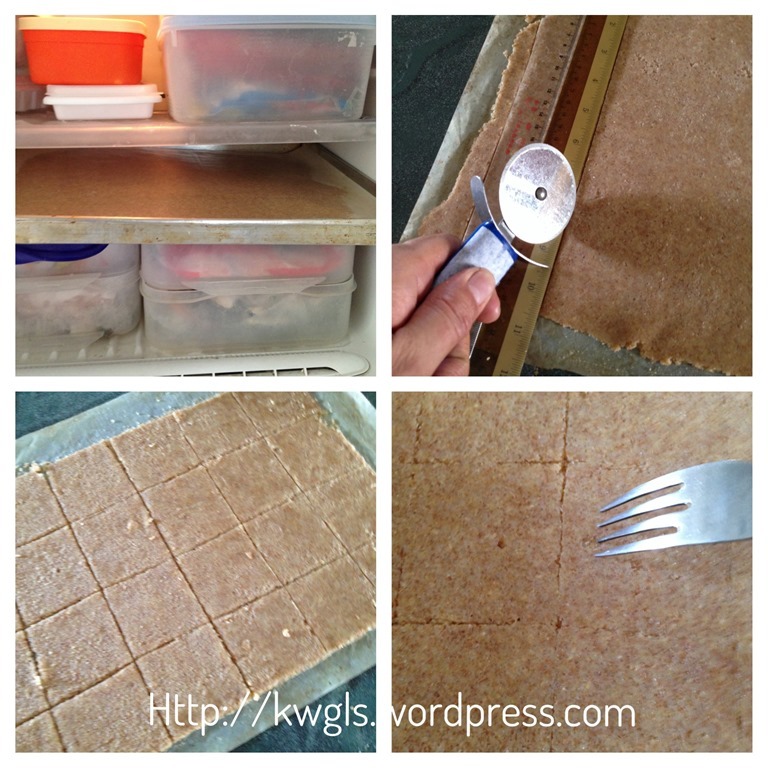 Use a rolling pin to flatten the dough with about 2 mm thickness. Put the flattened dough in the freezer and let it chill for about 10 minutes. Take out the dough, tear off one piece of the baking paper, use a pie cutter or pastry wheels or a sharp knife to cut the dough into your desire size (Suggested 5 cm x 5 cm). Put back to the refrigerator again until the oven is ready. 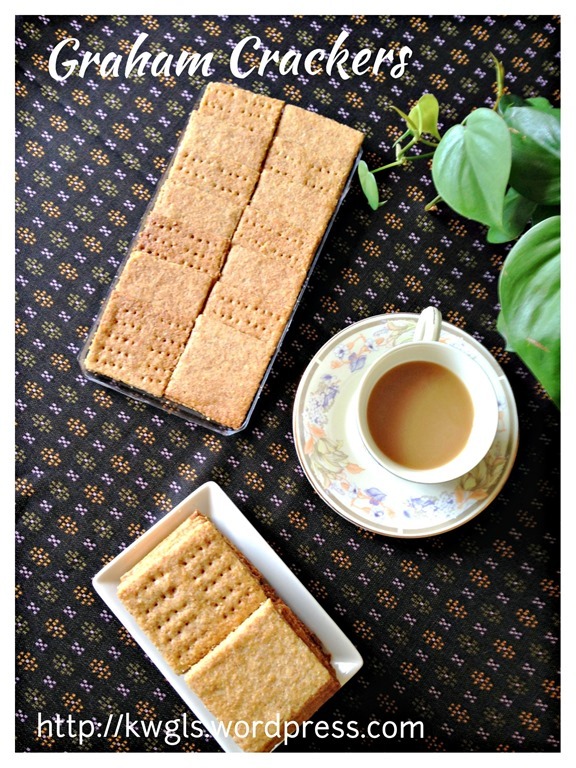 If you prefer, you can use forks to make some pattern in your biscuits. Pre-heat the oven to 200 degree Celsius. Once oven is ready, bake in the oven for about 7-10 minutes until the dough is firm and golden brown. Leave to cool in the baking tray for additional 2-3 minutes before transfer to the cooking rack for cooling.Once cooled, store the biscuit in an air tight container. 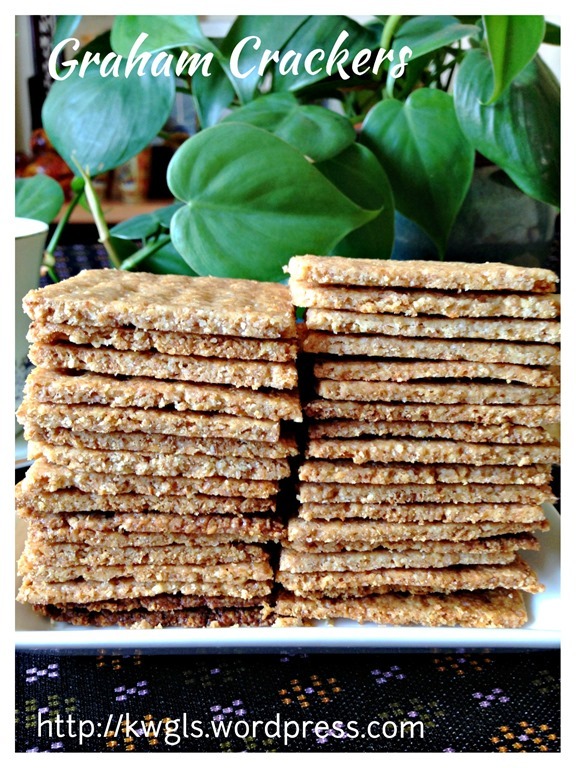 i am sure you will concur with me that this is a simple recipe. and may be you want to give it a try? 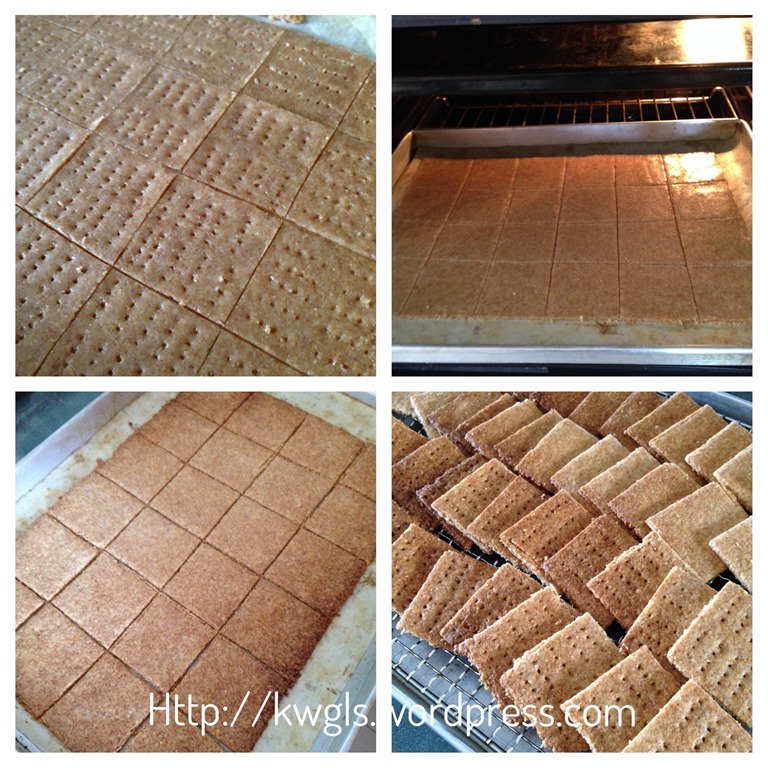 This entry was posted in Cakes and cookies, Food Preparation Series and tagged 8, graham biscuits, GUAI SHU SHU, Guaishushu, kenneth goh, postaday, wholemeal biscuit, 全麦饼干. Bookmark the permalink. Thanks for recipe! 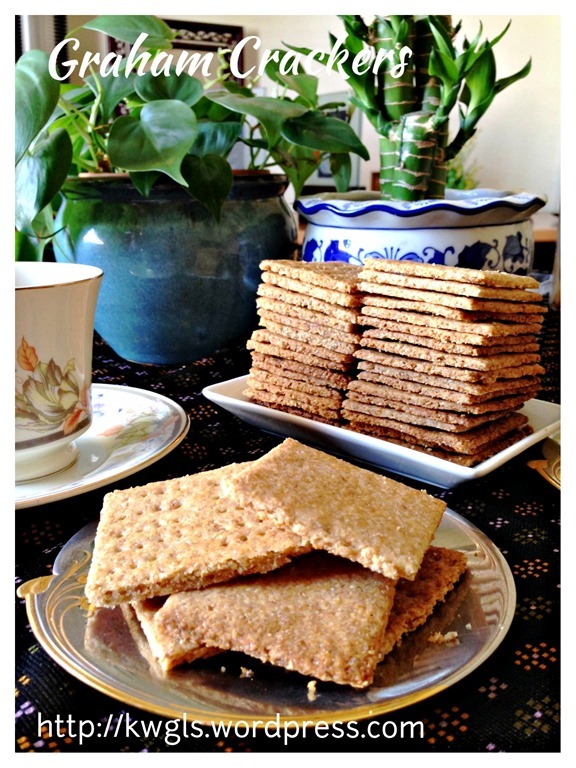 Is this a sweet or mild salty cracker?